When you have a lack of sleep it can affect a lot of different things in your daily life, such as your energy, concentration and mood. Long term poor sleep can have an affect on the chances of developing mental and physical illnesses, such as depression or diabetes. 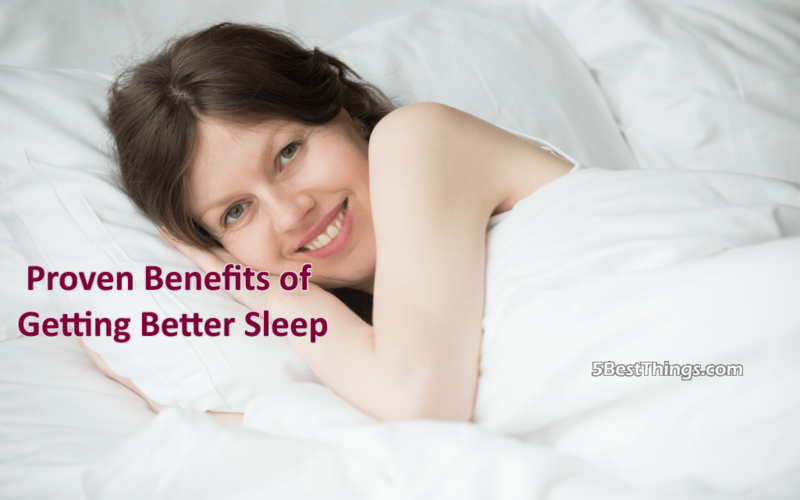 It’s important to know the benefits of getting good sleep. So if you are getting a lack of sleep or are tired all the time, these benefits will hopefully make you strive to get more sleep. When you wake up in the morning you are more honest, but as the day progresses your morals tend to slip. You are 20-50% more likely to be dishonest in the afternoon because you get progressively more tired on the day goes on. The less energy you have, the harder it is to stay honest. Night owls are more likely to stay ethical and honest after lunch because they feel more rested. So it’s important to get a good night’s sleep to prevent feeling tired in the afternoon after lunch. When you get a good night’s rest it’s much easier to stick to your diet and to make healthier choices because it’s easier to resist junk foods and snacks when you are well rested. When you are sleep deprived, your brain gets more excited when it sees foods high in calories and you are more likely to give into temptation. So make sure you get a full night’s rest and you’ll be able to resist temptation much more easily. Sleep is a wonderful tool because it can inspire creative insight. The dream inducing REM cycle helps you to find links between ideas, which is a process that is essential to creative problem solving. That is why when you wake up you feel you have found a solution to a problem you were having the day before or you have a new idea that formulated in your mind. During deep sleep your brain will go through impressions of the day in a process that is vital to memory formation. The better sleep you get the clearer your impressions will be and you will retain those impressions much more easy than you would by getting a lack of sleep. Without adequate sleep, your brain has a harder time absorbing information and recalling new information. People who get less sleep tend to to develop symptoms of depression, lower self-esteem and more anxiety. When otherwise healthy adults have poor sleeping schedules they lose their ability to control blood sugar. And the less sleep you get the more likely you are to develop a health problem, whether it is one of the above or just poor health in general. It is very important to try to maintain a regular sleep schedule so that you can remain healthy and not develop any problems. When it comes to sleep you want to try to get the best sleep that you can. Whether you need to invest in quality bedding or are just one of the 1000s that don’t make enough time for shut-eye, it is probably about time you spring into action. The benefits to a good night’s sleep are numerous. It helps you in keep an overall healthy lifestyle and prevents you from developing serious problems, like diabetes and anxiety. Try as hard as you can to not get less sleep, but to get more sleep. Your body and mind will thank you.